Why is the novel resonating with women readers? I think because the protagonist in part one is an honorable, single father doing everything he can to be a present, kind, caring man, and once women readers embrace him for his eminent decency and dire, unforeseen struggles, they keep reading, hoping for his redemption, despite his dark descent in part two into heartless brutality. Why write a book about a good person who becomes a cruel billionaire? For so many of us in our American lives, our dreams of a perfect marriage, nuclear family, and stellar career don’t turn out anything like we expected. We study hard, work hard, and do our best, but we don’t get what we thought we would achieve. Real life somehow takes over, limiting our ascent, disappointing us. In our own ways, many of us wish for another, better life—one where we might just be exceedingly rich, happy and famous. But that new, powerful life may create its own new set of problems. Should we be careful what we wish for? Is “Write what you know” true for this book? What I can say is that back in the day, I was a single dad to an eight-year-old boy, and that’s where my story begins. I was also the founder of an Internet technology start-up that cratered, and my impressions of that experience (mostly comical) are imbedded in the story as well. I also spent years in the movie business as a creative studio executive and film producer, so I had the pleasure (joking) of observing some of mankind’s most gifted narcissists and sociopaths. Beyond that, the characters and story are fiction! At various times, your story references “the infinite components of a miracle.” Are there really that many? Yes. And the first one is on the novel’s last page. TODD R. BAKER grew up on the North Shore of Chicago and somehow ended up on the shoal of Los Angeles. 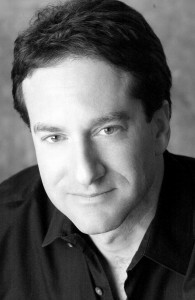 During Todd’s film industry career, he produced and developed movies for 20th Century Fox, Paramount Pictures, Disney, Miramax, and Universal Pictures, starring Kevin Costner, Leonardo DiCaprio, Tom Cruise, Jack Nicholson, Robert Downey, Jr., Adam Sandler, Elijah Wood, Robert Duvall, Anjelica Huston, Whoopi Goldberg, Raul Julia, Daryl Hannah, Chris Farley, Steve Buscemi, Brendan Fraser, Christopher Lloyd, and Kenneth Branagh. He licenses two of his U.S. patents for one of his inventions and is a Phi Beta Kappa graduate of Stanford University. Todd lives in Playa Vista/Silicon Beach, California. Visit his website for more information.